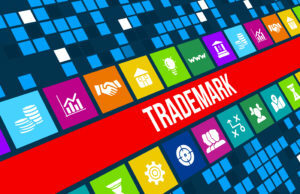 Trademarks are increasingly valuable assets of just about every business. As such, one of the most valuable ways companies can spend their legal dollars is to obtain a federal trademark registration to protect their trademarks. Obtaining a trademark registration from the United States Patent and Trademark Office (USPTO) grants the owner of the trademark registration exclusive right to use the mark throughout the entire United States. If someone else tries to use a mark that is confusingly similar to a USPTO registered trademark, the owner of the USPTO registration can take legal action to stop them. prepare and file the USPTO application. In addition, we don’t charge for our consultations with you to ensure your application will have the best chance of success, and that your registration will be as broad and as strong as possible. The trademark search is an important step in this process. When conducted properly, a trademark search and report will provide you with an idea about (1) potential issues with USPTO registration if you decide to fie the application, and (2) help you discover other prior users who might potentially be able to sue you for using a similar mark. In addition, the results will often tell you how many other similar marks are out there which, even if not technically bars to USPTO registration, might – due to their existence – mean that your chosen mark could be relatively weak from legal standpoint. Many business owners need legal help to obtain a USPTO trademark registration, but are afraid of paying unknown, possibly huge legal fees. To ensure against potential “sticker shock” of a huge legal bill, we tell clients upfront what costs to expect to from us to conduct a trademark search and prepare and file a USPTO trademark registration application (see above). Some companies try to minimize costs by doing it themselves or by using online services like legalzoom.com, rather than working with competent legal counsel. The danger with online services or “do it yourself” instead of a trademark lawyer to assist with your USPTO trademark registration application is that the USPTO trademark registration process is not forgiving of errors and omissions – some of which can be fatal to your USPTO trademark registration application. In addition, even if you are successful in obtaining a USPTO trademark registration, the particular way in which the application forms and requirements are completed can have a tremendous impact on the strength and value of your registration (or lack thereof). Only experienced trademark lawyers who routinely deal with the USPTO can adequately advise you on how to get the strongest protection under U.S. trademark law. With our flat fee services, you get the best of both worlds: trustworthy expert advice and assistance to walk you through the entire process of applying for and registering your trademark with the USPTO at an affordable, transparent, and predictable cost. The filing of a USPTO trademark registration application is not the end – it is the beginning of the federal prosecution process. This process can often take a year or more, and will often involve additional attorneys fees. The flat fee would NOT include any work needed on the application, if any, after filing – which would be billed hourly at our standard rates. Any additional work which may be needed is impossible to estimate prior to filing. We generally advise clients to budget another $500 – $750 over the life of a typical application for maintenance and minor interaction with the USPTO). If more work than average were to become necessary, the client is consulted before any work is initiated. In some instances, a flat fee is not appropriate. In those situations, we would tell you in advance what costs to anticipate. Also, while our searches are typically good indicators of likely USPTO success, they are based on limited information, are subject to a range of variables and interpretations that make them, at best, educated guesses. A TM search, while important, should not be the only consideration in using a mark or applying to register a trademark. No guarantees that the USPTO will grant registration, nor that your use will not be considered infringing by some other party (or even a court). If you are interested in obtaining a USPTO trademark registration, contact us today so we can secure your national rights to your mark as soon as possible. Contact us via the Contact page of this site.